Load up on sodium to get the strength boost you need. I’m getting ready to max out on my main lifts in a few weeks, and I want to break my all-time records. Can you look at my diet and point out anything that could be changed to help me gain strength? Like a lot of dedicated lifters, in your effort to keep your diet as strict as possible, you’ve actually limited an ingredient that is essential for strength—salt. In fact, judging by your sample meals, I feel that you have been purposely consuming as little sodium as possible, and that’s a mistake. Sodium helps to regulate a number of key functions in the body, including muscle contraction, nerve function, blood volume, and acid-base balance. When you decrease your sodium intake, your body will compensate by excreting potassium, which will cause a decrease in the fluid volume of your muscle cells. This hurts their ability to grow. Increasing sodium intake, therefore, can increase muscle size by adding more fluid volume. A higher volume of intracellular fluid also increases protein turnover, further spurring growth. Another mechanism through which sodium can increase strength is by increasing extra-cellular fluid levels (fluid outside the cell membrane), which in turn improves the leverage in your joints, allowing you to move more weight on lifts. These increases in fluid volume both inside and outside the cell have also been shown to reduce the incidence of muscle strains and tendon injuries by decreasing the friction exerted upon these tissues. Finally, many critical amino acids are sodium-dependent. This means they are able to enter a muscle cell only when accompanied by a sodium molecule. I’ll assume that your efforts to reduce sodium are a result of all the negative media reports about it causing high blood pressure and bloating. First, sodium hasn't been shown conclusively to cause high blood pressure. A recent study also showed that cutting back on sodium does not lower blood pressure. Additionally, sodium does not contribute to fat gain or cause excessive water retention in healthy individuals. In case you’re wondering, you don’t need to make an extra effort to drink more water when consuming more sodium—all hard-training lifters should aim for about one gallon daily, or enough to keep your urine colorless. So don’t avoid salted foods and don't refrain from adding salt to taste where appropriate. 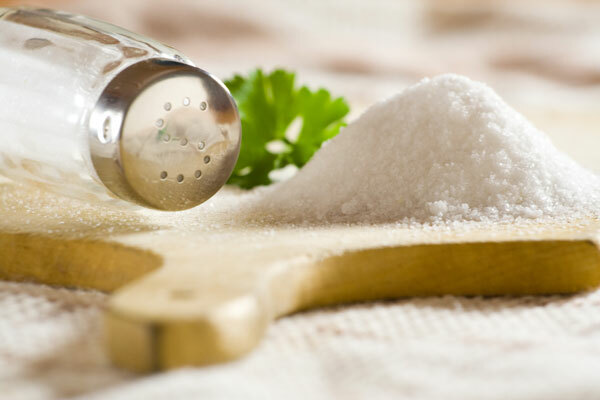 Don’t go overboard— adding excessive amounts of salt to all of your food will provide no extra benefit. Just be sure to have some at each meal when you’re training for size and strength. See the revised plan below for a suggestion. I’ve used sodium to great effect in my own career after cutting weight prior to powerlifting meets. When I broke the all-time world-record total in the 220-pound class, I had to cut 35 pounds in less than a day and then put it all back on before lifting the next day—loading up on sodium helped make it possible. I squatted 1,003 pounds and had 2,551-pound total.